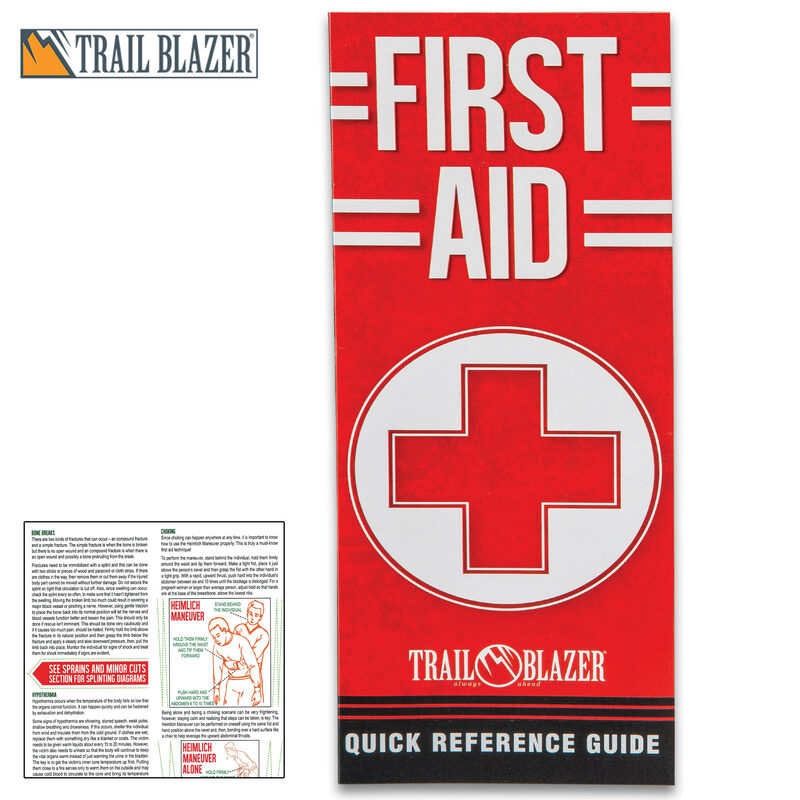 Trailblazer First Aid Quick Reference Guide - Compact Folding Guide, Laminated, Detailed Illustrations, Easy-To-Follow Instructions | BUDK.com - Knives & Swords At The Lowest Prices! 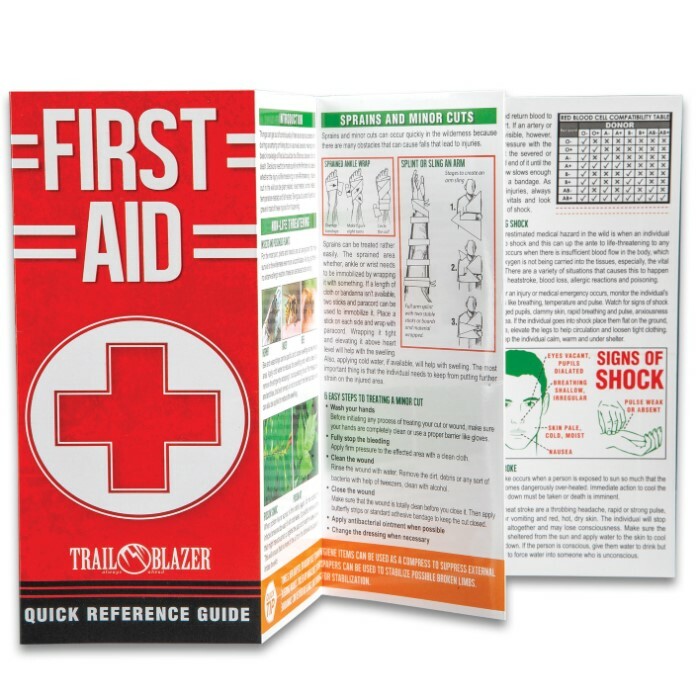 Our Trailblazer First Aid Quick Reference Guide is a simplified folding guide to the basics of giving first aid because you just never know when that skill might be needed. 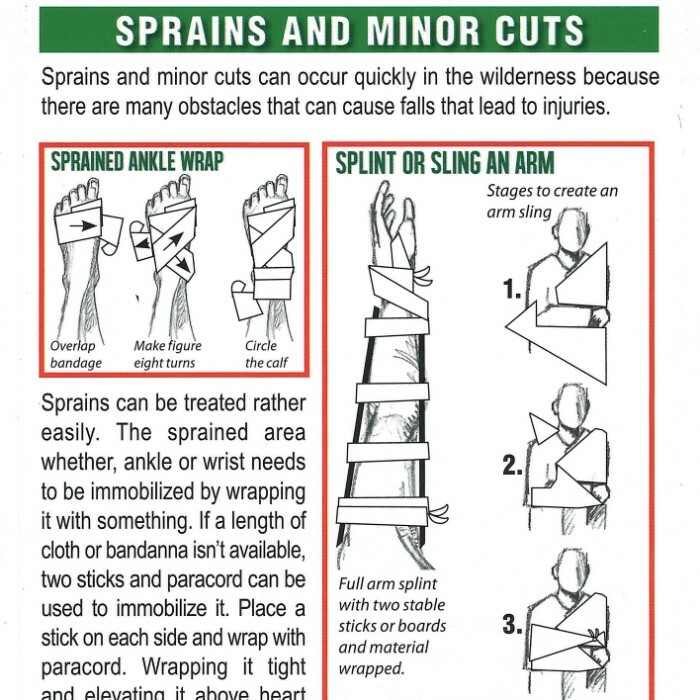 It includes sections on heat illnesses, sprains and breaks, bleeding and detailed illustrations with easy-to-follow instructions. This compact, convenient guide is an ideal, portable source of practical information and is laminated and durable so that it’s ideal for field use. Get one for your camping and survival gear, your vehicle and home and your bugout bag.